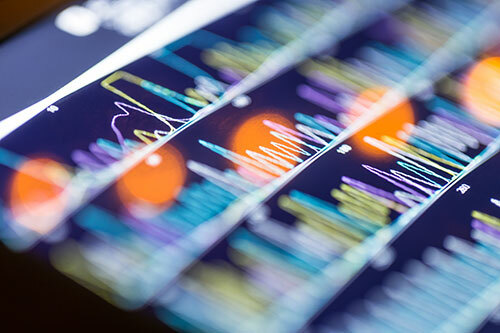 Scientists at the National Institute of Standards and Technology (NIST) have recently added four new reference materials (RMs) to their expanding collection of benchmarks for gene sequencing. The new tools feature sequenced genes from individuals in two genetically diverse groups, Asians and Ashkenazic Jews; a father-mother-child trio set from Ashkenazic Jews; and four microbes commonly used in research. The NIST is hopeful that they will now be able to provide the research community with even more capability to accurately “map” DNA for genetic testing, medical diagnoses, and future customized drug therapies. In May of 2015, the NIST issued the world’s first genome reference material (NIST RM 8398)—detailing the genetic makeup for a woman with European ancestry. Now, all five RMs will serve as a collection of well-characterized, whole genome standards that can tell a laboratory how well its DNA sequencing processes are working by measuring the performance of the equipment, chemistry, and data analysis involved. The human RMs provide a baseline for comparing and contrasting genes from distinctly different lineages while the Ashkenazic trio set aids the analysis of genetic links between family members. The bacterial genomes come from species that challenge the technical performance of sequencing methods and have been determined by the FDA to have significant relevance to the research of public health issues such as food contamination, antibiotic resistance, and hospital-acquired infections. Reference materials are critical to properly evaluate the next-generation of gene sequencing and genetic testing methods that will increase the reliability and effectiveness of precision medicine, in which a patient’s genetic profile is used to create treatments and therapies unique to that individual. Sequencing devices take long strings of a person's DNA and randomly chop them into small pieces that can be individually analyzed to determine their sequence of letters from the genetic code. The sequenced pieces can then be compared to a well-defined “reference sequence” to identify differences between the two codes. The differences reveal where mutations may have occurred in specific genes. Yet, biases and blind spots for certain sequences contribute to uncertainties or errors in the sequence analysis. These biases can lead to hundreds of thousands of disagreements between different sequencing results for the same human genome. To better understand these biases, laboratories can now compare their DNA sequences to those obtained from the DNA in any or all of the human genome RMs. The reference materials have been extensively characterized with multiple techniques, with the results weighted and analyzed to eliminate as much bias and error as possible. The new NIST human genome RMs increase the ability of DNA sequencing laboratories to be more confident in their reporting of true positives, false positives, true negatives, and false negatives—significantly improving genetic tests used for disease risk prediction, diagnosis, and progression tracking. Similarly, the standardized microbial genomes can be used to assess the performance of high-throughput methods for microbial DNA sequencing.